It’s hard to believe that the American rock band Journey – formed in California in 1973 as a Santana offshoot – is now well into their fifth decade. The original incarnation of the group featured a psychedelic jam approach that never found mass appeal. For their fourth album they located the singer who would take them to the promised land in the form of Steve Perry. The Journey bus really got moving with the release of 1981’s Escape and that album’s 35th Anniversary is being celebrated during the San Francisco Fest 2016 that made a tour stop in Nashville, Tennessee on July 27 at the Ascend Amphitheater. Journey take the stage at Nashville’s Ascend Amphitheater. 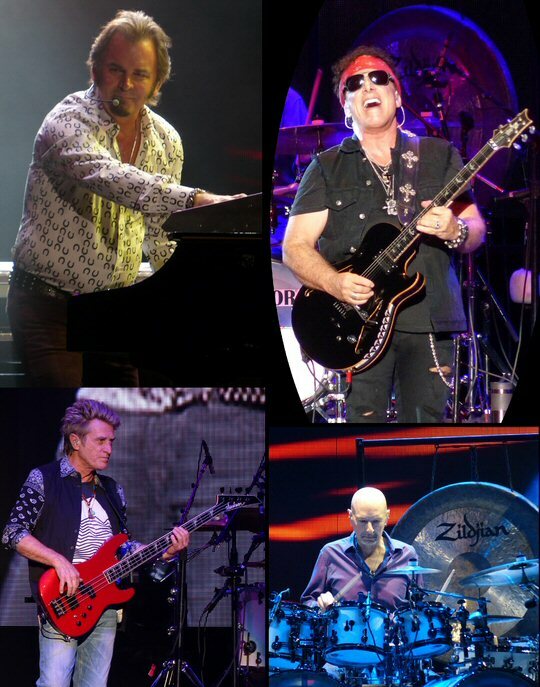 Many musicians have taken a ride on the AOR/melodic rock vehicle that is Journey over the years. Their latest singer Arnel Pineda is now a veteran having ascended to the position through one of music’s greatest rags to riches stories, ever. The struggling cover band singer from Manila, Philippines was discovered by guitarist Neal Schon over eight years ago via Youtube which led to an invitation to the unlikely front-man to audition for the band. The full heart-warming tale has been recorded for posterity in the award-winning documentary called Don’t Stop Believin’: Everyman’s Journey. For this summer jaunt Journey featured their longtime drummer Steve Smith back in the fold for his third trip with one of rock’s most successful recording acts. Smith was onboard for the Escape era and his addition to the tour guaranteed the presence of eighty percent of the classic line-up fans so often clamor for. His position behind the kit also indicated that someone was missing. Deen Castronovo powered the unit with his pulsating percussion and amazing Perryesque support vocals until addiction and legal troubles brought his tenure with the boys to an end in 2015. The band came out swinging at the Ascend as the ever-potent “Separate Ways” with it’s throbbing backbeat electrified Music City as attendees rose to their feet. Journey kept the pedal to the metal as they quickly moved to “Be Good to Yourself” followed by “Only the Young” for an amped up three-pack of opening songs. Next, Neal Schon had the spotlight to himself as he showed off his guitar-god chops on a mash-up of “The Star-Spangled Banner” and “Taps”. The band then offered the first of five songs from the featured Escape as the hard-rocking “Stone in Love” echoed out across the Cumberland Gap. More featured selections from the album that sold over twelve million copies worldwide included “Open Arms”, “Who’s Crying Now”, “Don’t Stop Believin’ ” and the title track. These songs all bore the golden touch and platinum penmanship of keyboardist Jonathan Cain who stepped into the vacated seat left open by the departure of founding member Gregg Rolie. Cain brought his pop-sensibilities honed from years in The Babys to this band and took them from rock radio heroes to chart-topping hit-makers in his first crack at it and there’s been no looking back since. 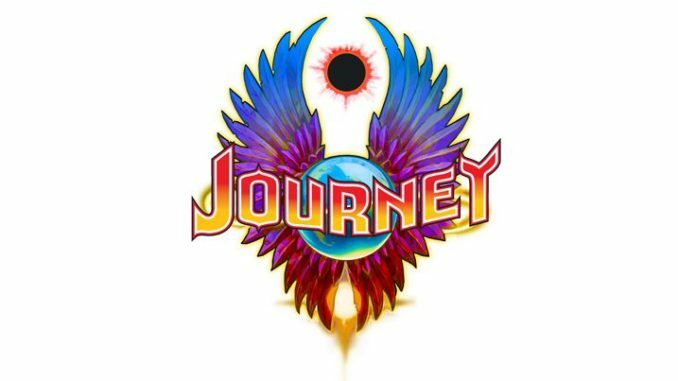 The wheels on the ground have kept rolling over the years as Journey has stayed on the road as a regular summer attraction even after losing their “voice” in the form of Perry back in 1998. They carried on with help from replacement singer Steve Augeri whose own voice literally cracked under the pressure of delivering the difficult and demanding back catalogue on a nightly basis. So, it was no surprise that we noticed an additional passenger on the stage tucked away in the shadows who was providing background vox and support instrumentation – perhaps to make up for the loss of what their previous drummer was able to provide. 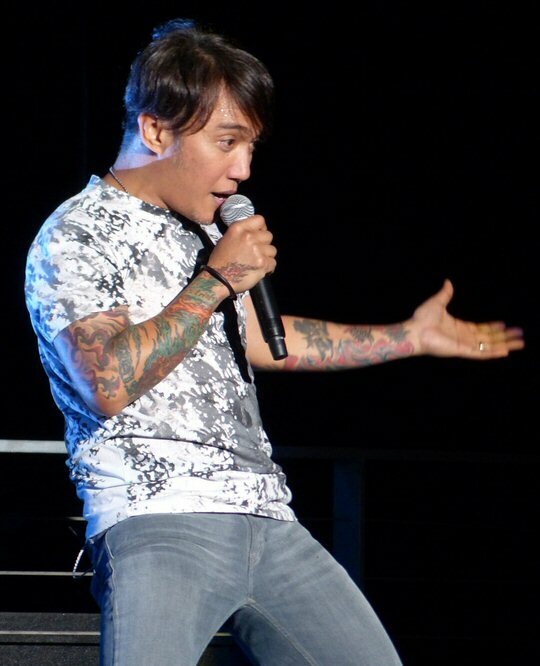 If CelebrityNetWorth.com is to be believed you’ll understand that Arnel Pineda’s time out front in Journey has been very good to him. In Nashville we got an idea of what he’s been doing with some of the money that he has made. After a wardrobe change the talented singer emerged in a T-shirt sporting two fresh full sleeves of colorful tattoos. To this writer and outlet were not sure if the newly marked-up open arms were a change for the better. We’d like to hear more from Arnel on why he delved so visibly into the world of ink. That would be quite a revelation. Still, for us Pineda was the highlight of the night as he kept the energy high running from side to side and clapping his hands as he and Journey delivered more of the “twelve-pack” – the obligatory hits the band feels compelled to keep in their live set from show to show. Even after all these years the fabulous Filipino seems excited and amazed to be at the helm of the band he once admired from afar working in acts such as The Zoo. 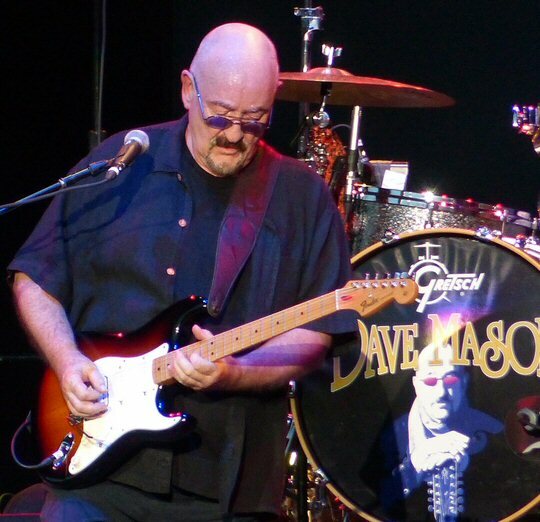 In the opening slot was singer, songwriter and guitarist Dave Mason who launched his career in the band Traffic. His time there found him in “stop and go” mode as he was in, out, and back in again a few times over. However, he wrote a number of their hits including “Feelin’ Alright” a tune that has been covered by many notable artists. Mason has had a successful solo career that includes guest appearances with the likes of Jimi Hendrix, The Rolling Stones and more. Dave is a Rock & Roll Hall of Fame Member and an advocate for good causes. Today, Mason with his capable crew still tours regularly. For 2016 they are on the bill with Journey and The Doobie Brothers who had this particular night off. During his set at the Ascend Amphitheater Dave drew heavily from the Traffic catalogue. They opened with a flavorful “Rock and Roll Stew” adding their own spice to the mix. Mason cooked up a bluesy version of “Low Spark of High Heeled Boys” flowing into a harder, heaver jam for “Dear Mr. Fantasy”. “Feelin’ Alright” was potent as Ross Valory from Journey added a second bass to the already rousing rhythm. Then Neal Schon also from Journey traded guitar licks with Dave to honor both Bob Dylan and Jimi Hendrix with a winsome take on “All Along The Watchtower”. This proved not only to be a cool closer for Dave Mason and company but also a solid warm-up for the headliner, too.